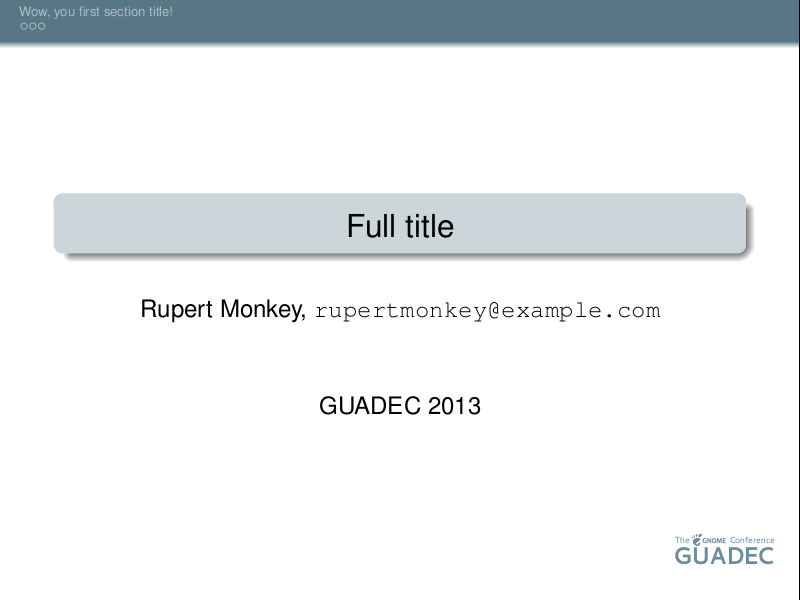 This entry was posted in Uncategorized and tagged beamer, guadec, latex, template on 2013-07-23 by kittykat. it would be nice to have an image of Brno as the first slide in the deck. Please feel free to take it, abuse it and improve it however you like ^_^ I will try to add a branch with something like that, but I don’t think that I will have time before GUADEC. Thanks a lot ! It really helps to create a nice lightning talk !